This MP3 WAV Converter support converting WAV, MP2, MP3, M4A, MP4, WMA, OGG, AAC, APE, VQF etc, as input and converts them to MP3, WAV files. And it provides optimized setting, you can converting your file is just a button click away, besides that, it allow you to set parameters of conversion option. It supports extract audio from video to MP3 or WAV audio formats, such as convert MPEG to MP3, MP4 to MP3, MP4 to WAV and AVI to WAV etc. Tutu MP3 WAV Converter also supports extract audio from video to MP3 or WAV audio formats, such as conver MPEG to MP3, and MP4 to MP3, MP4 to WAV, AVI to WAV, etc. 3. Batch conversion, you can enactment every WAV to MP3 / MP3 to WAV / MPEG to mp3 / MP4 to mp3 converting task flexibly, and the task can be saved and load. 4. Excellent output quality by parameters optimized, you can use the default settings which were optimized to get excellent output quality of MP3, WAV audio files, or you can set the advanced settings by yourself like bit rate, sample rate, etc. Qweas is providing links to Tutu MP3 WAV Converter 3.1.9.1108 as a courtesy, and makes no representations regarding Tutu MP3 WAV Converter or any other applications or any information related thereto. Any questions, complaints or claims regarding this application Tutu MP3 WAV Converter 3.1.9.1108 must be directed to the appropriate software vendor. 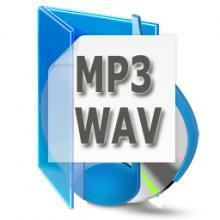 You may click the publisher link of Tutu MP3 WAV Converter on the top of this page to get more details about the vendor.